If you have your eye on a three-row crossover SUV, then you may be considering the 2019 Toyota Highlander. 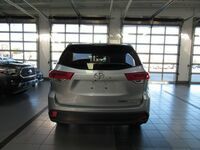 This powerful SUV is versatile and fun to drive with a rewarding driving experience. From road trips to daily errands, the 2019 Toyota Highlander has everything you need for a great drive. Its functional cabin, generous array of premium features and top safety ratings make this SUV a must-see. To best showcase the Highlander’s capabilities, we have paired it against the 2019 Ford Explorer. Can the 2019 Toyota Highlander stand the test? 83.7 cu.ft. Maximum Interior Cargo Volume 80.7 cu.ft. 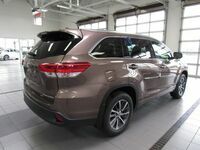 Both SUVs boast strong passenger and cargo space, but it’s the 2019 Toyota Highlander that excels in this area. Where the 2019 Ford Explorer shines is its powerful engine options and dynamic driving experience. 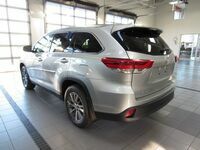 The 2019 Toyota Highlander is nimble and athletic on the road with an overall spirited performance and quick acceleration. The Highlander also has more overall fuel tank capacity compared to the 2019 Ford Explorer. Not only that, but the 2019 Toyota Highlander received strong safety ratings from the Insurance Institute for Highway Safety with top performance in crash tests. 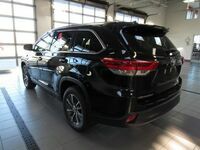 Best of all, every 2019 Toyota Highlander is standard with a long list of driver assistance technologies. These include adaptive cruise control, lane departure intervention, Toyota’s Pre-Collision System, forward collision detection with automatic emergency braking, a rearview camera and much more. See the new Highlander for yourself with a test drive at Le Mieux Toyota. Our award-winning team of experts can answer any questions you might have and can help you find the perfect car, truck or SUV. Stop by and see us today!